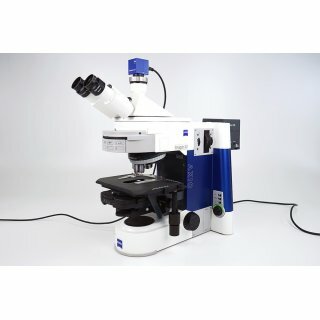 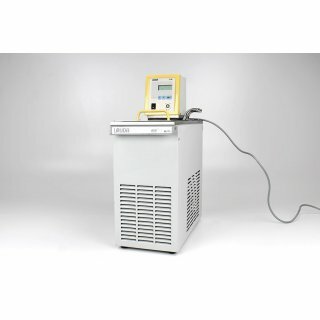 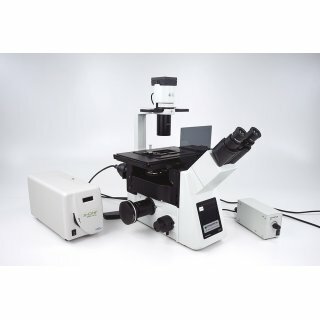 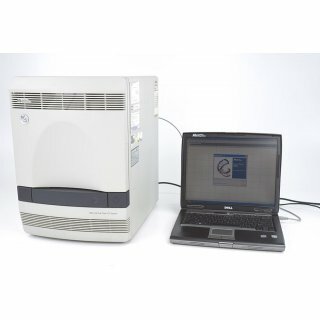 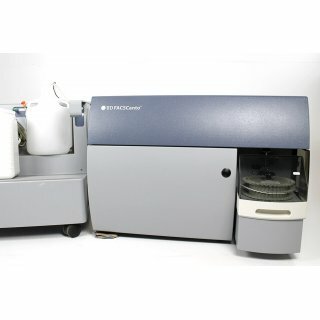 The 870 KF Titrino plus is a KF titrator for volumetric water content determination. 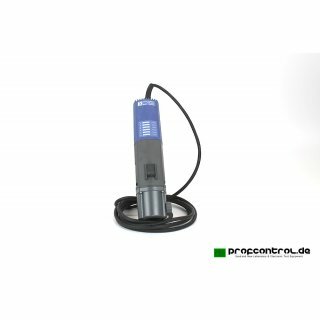 Water determination occures easy, safe and precise. 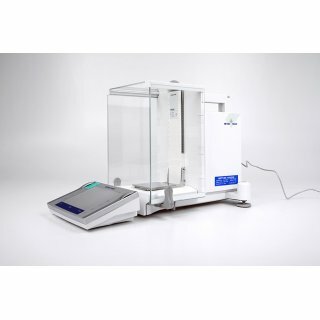 With it, water contents from a few ppm to 100% can be determined reliably and precisely in solid, liquid and gaseous samples. With its user interface, which is tailored to routine users, the 870 KF Titrino plus is so simple to operate that only brief orientation periods are required. 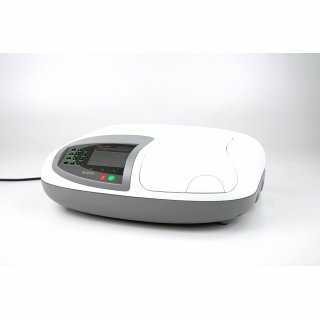 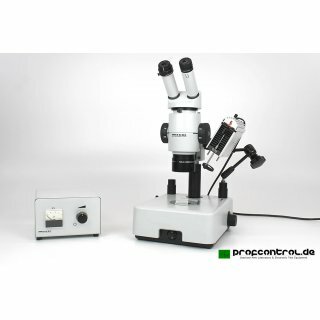 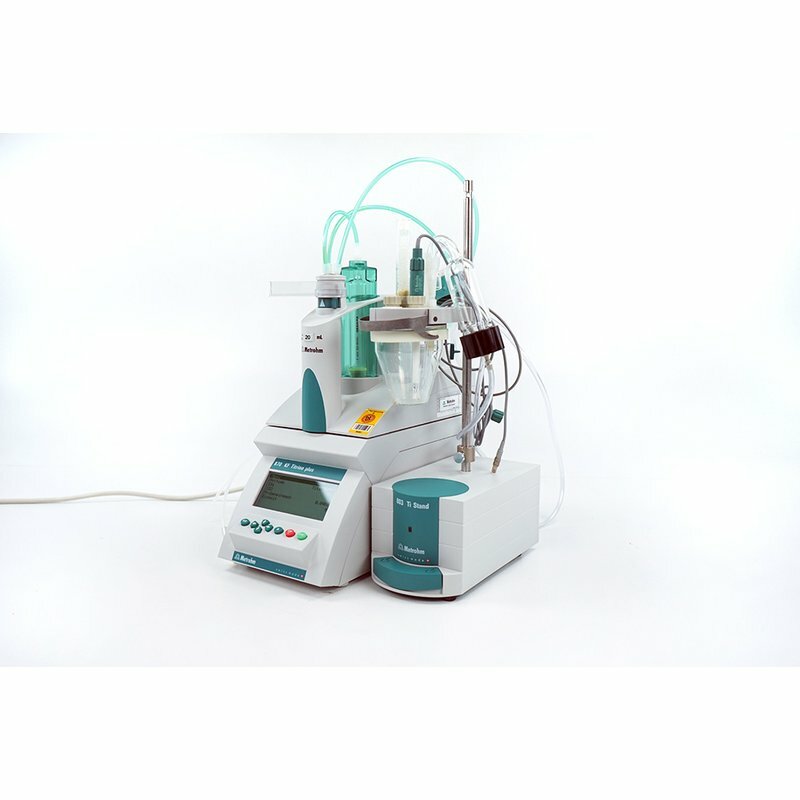 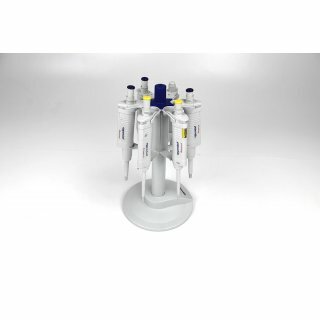 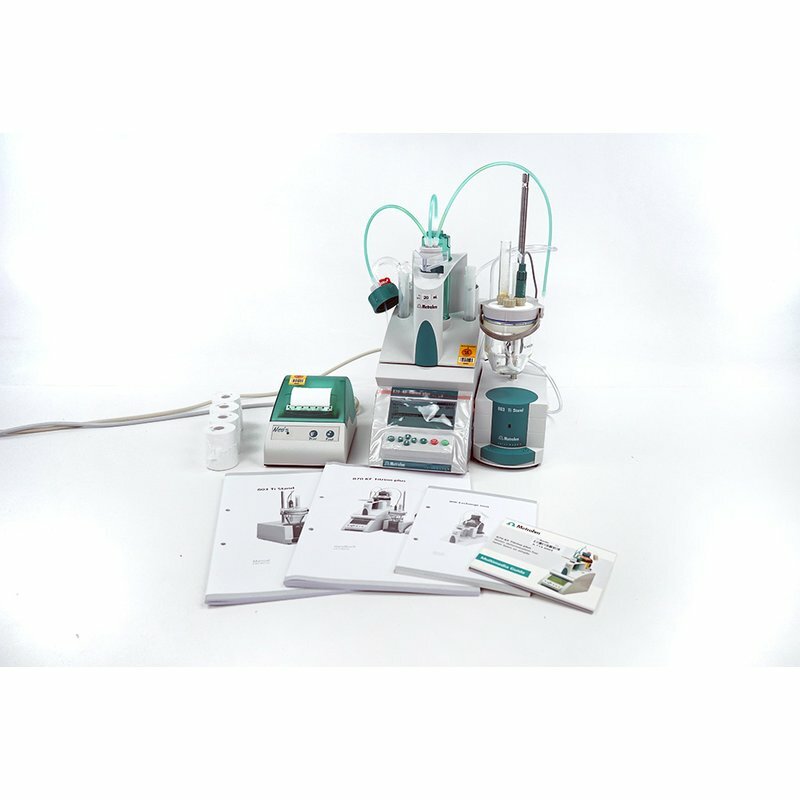 It is the ideal titrator for routine determinations, also because of its robustness. 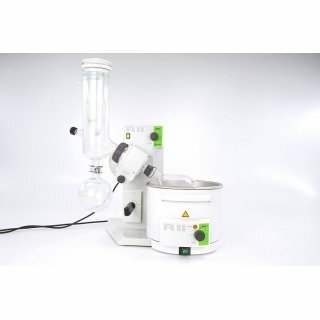 The 803 KF Titration Stand is used for stirring and for exchanging the used working medium. The built-in pump aspirates off the used titration solution and adds new working medium without the cell having to be opened. 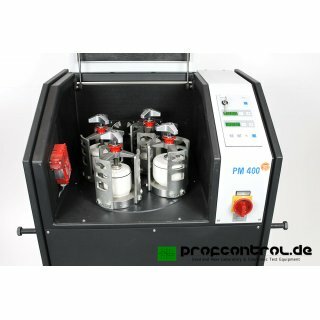 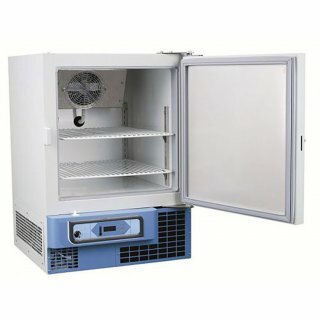 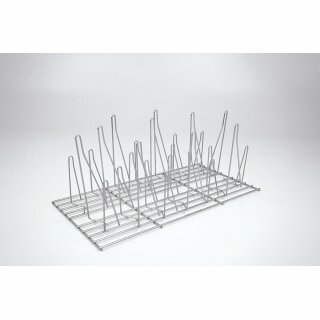 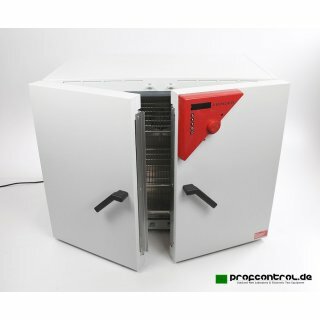 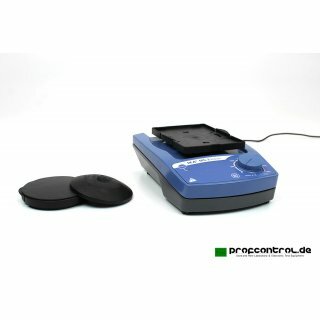 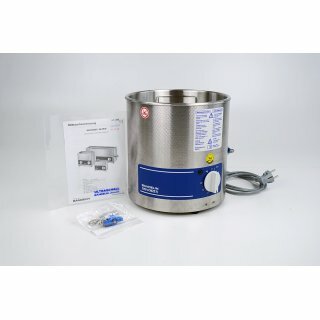 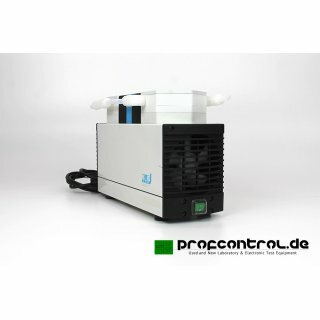 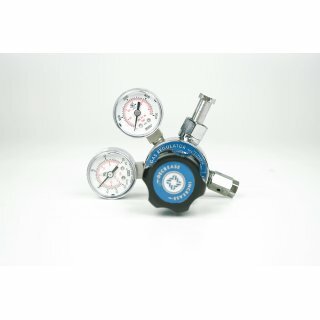 This shortens the conditioning time and prevents the escape of solvents and their accumulation in the lab atmosphere. 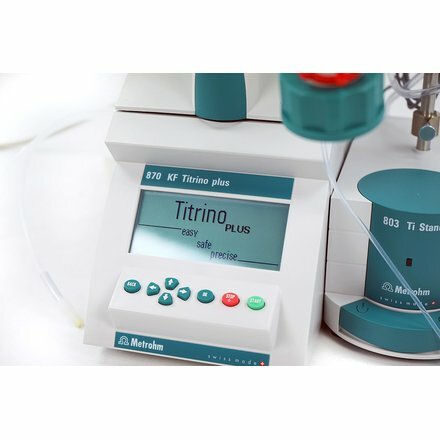 The installation of the 870 KF Titrino plus is extremely simple. 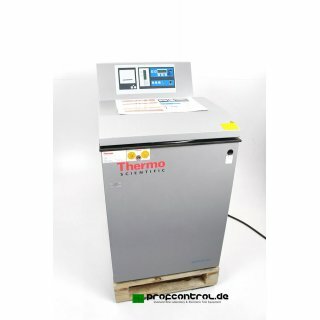 As soon as they are connected, the Exchange Unit, stirrer and compact USB printer are recognized and configured automatically. You only have to decide whether you want to carry out a titer, blank or water determination and then start the titration by pressing just one key. 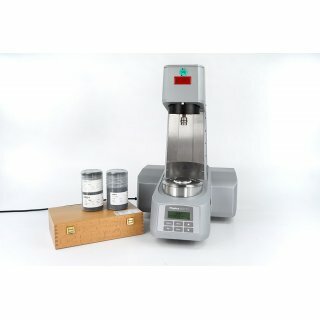 Of course, you can also adapt the parameters yourself to your sample. 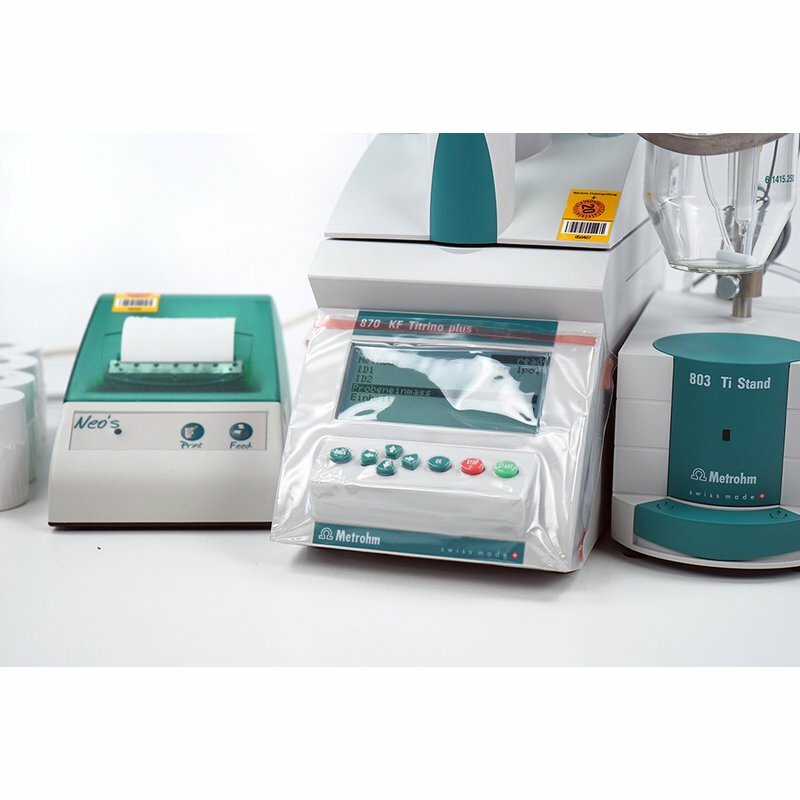 The appropriate calculation formulas for each method are stored in the titrator. 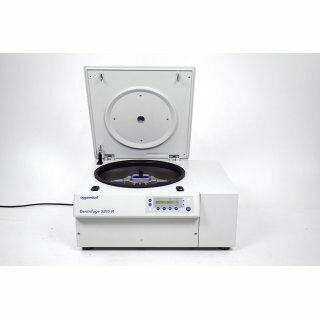 All you have to do is select the units for entering the sample weight and presenting the results; the 870 KF Titrino plus informs you about the necessary conversion factors. 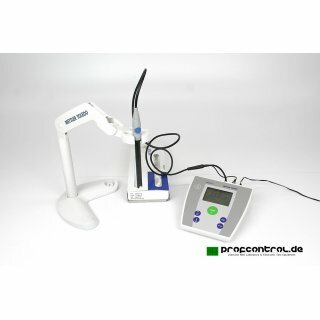 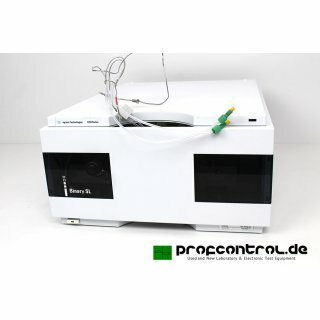 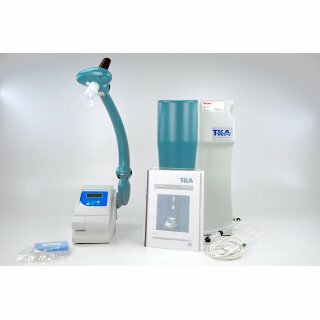 Metrohm KF titrators are equipped with a display showing the live curve as standard. 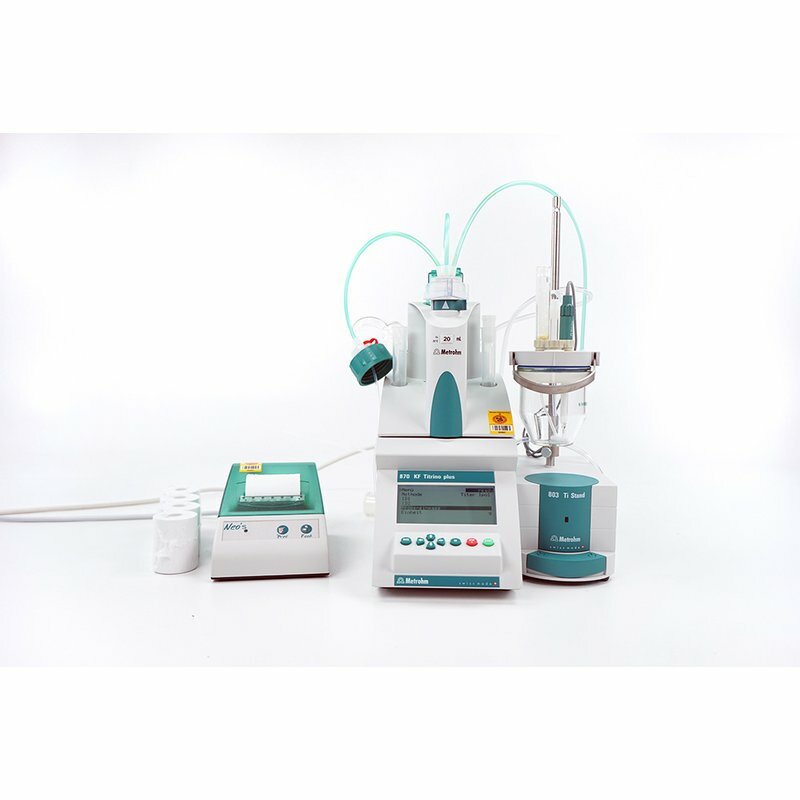 This allows you to recognize side-reactions in good time and take measures to suppress them. 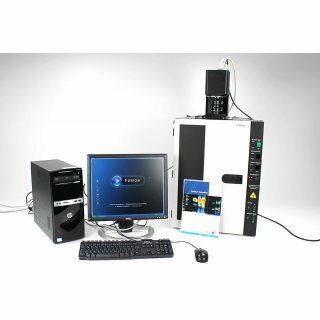 The chip of the intelligent Metrohm Exchange Unit automatically provides the titrator with all the data (cylinder volume, type of KF reagent, validity of titer, etc.) 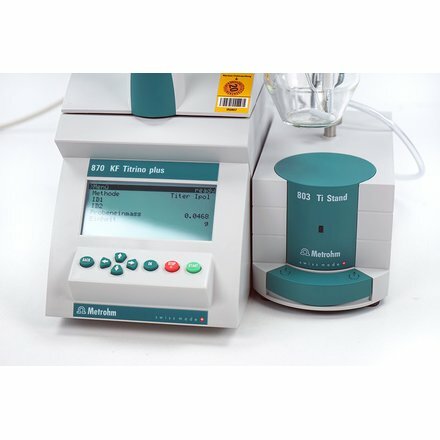 that is necessary to carry out an error-free titration. 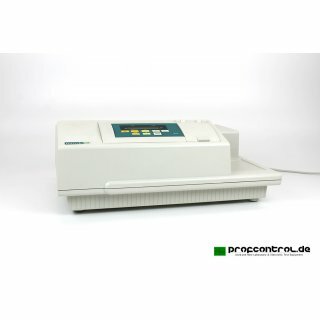 This means that you always titrate under optimal conditions and, for example, do not have to repeat measurements because the determination has been carried out with an invalid titer. !!! 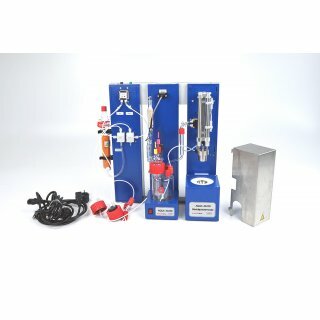 Please NOTE: there is a 20 ml excange unit in the scope of delivery istead of a standard 10 ml exchange unit. 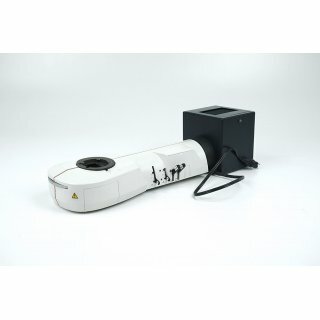 What is more, there are extra thermal paper rolls!!! 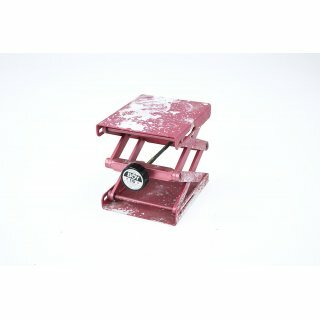 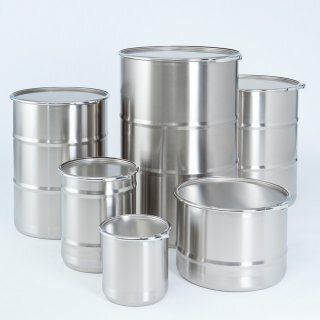 The items are in excellent like new cosmetic condition. 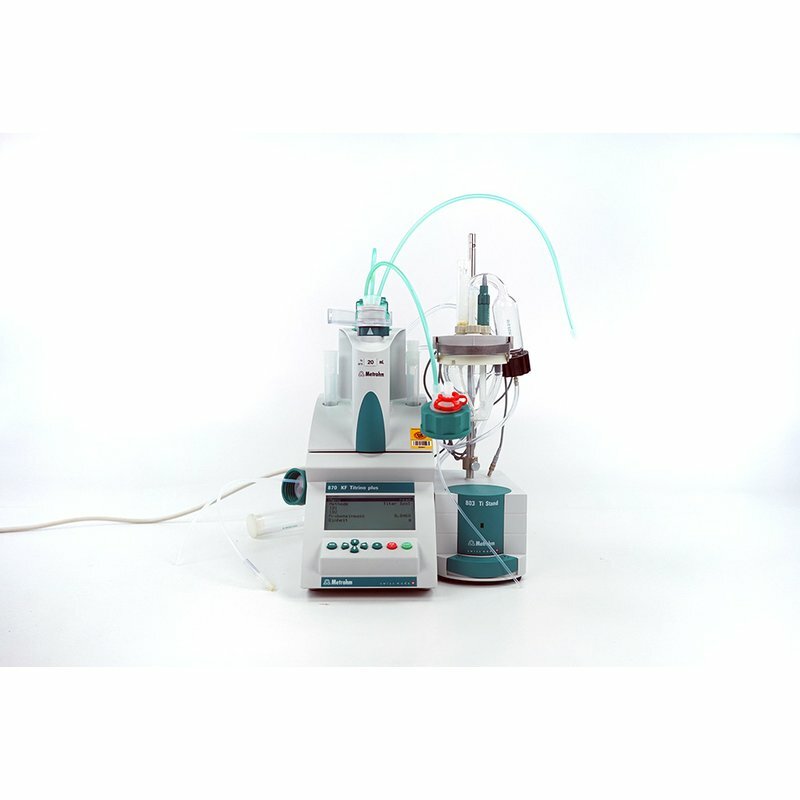 The system is fully operational and functions as intended. 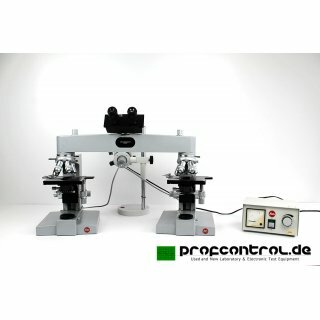 It is ready to be operated.